Here is why you should ditch those fatty oils and stick to palm kernel oil for cooking. 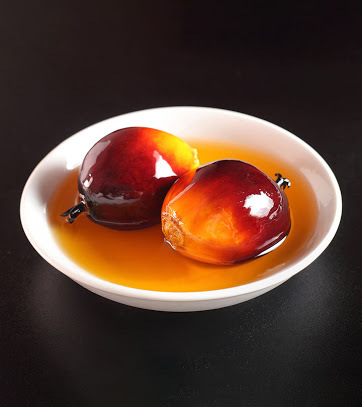 Palm kernel oil has so many benefits that are often overlooked. It not only improves skin and hair growth but also has great nutritional benefits associated with it. This fact tops all benefits palm oil has. This makes it a perfect replacement for butter. People with high cholesterol and heart disease can easily switch over to healthy palm oil without worry. Palm oil is an amazing source of unsaturated fats as well as medium chain fatty acids. These qualities make it ideal for healthier skin, bones and joints. It boosts bone health and also acts as a blood coagulant thanks to Vitamin K.
Palm kernel oil also has high nutritional value. It has numerous nutrients that are essential for maintaining good health. The presence of palmitic acid, considered as a 16-carbon saturated fatty acid, makes it distinctive from other cooking oils. Palm kernel oil also makes the skin naturally soft and glossy without it getting a greasy appearance. The oil is a major ingredient in the production of soap bars and skin creams. It also provides relief to ragged cuticles and itchy skin. Palm oil provides amazing anti-ageing benefits. It prevents the occurrence of wrinkles and fine lines. It is capable of providing protection against harmful UV rays and other toxins. Therefore, it is wise to include palm kernel oil in your daily diet. Have you ever used Palm kernel oil for hair? Palm kernel oil shows amazing results on hair growth. It provides thorough conditioning, thickens hair and reduces hair fall by making it stronger. Used as a hot oil treatment, it provides a soothing effect along with the desired nourishment.